Fact: Because of the instant recognition jingles provide, you may be able to cut your radio advertisement budget by 20% without a drop in results. Jingles help prospective and prior customers remember your name and your commercial, and therefore you need less airtime to promote your electric, plumbing, or HVAC company. Rice-A-Roni…it’s the _______ treat! I am stuck on Band-Aid Brand because….! Like a good neighbor…who’s there? I bet right now the State Farm jingle is running through your head along with some visuals from their commercials. Why? Because music is one of the most effective ways to help people remember your company’s name and establish an image. Like letterheads, logos, or signs, jingles help create an image for your company. Essentially, they are a musical logo. Research shows that nothing helps increase name recognition faster or more thoroughly than a great jingle. Companies, large and small, have invested in jingles because they help establish and reinforce a company’s image and brand. Like logos, jingles create a sense of continuity to your advertising. When people hear your jingle on the radio, or in the background of a television ad, it creates consistency and continuity. While the messages and talking voices in your ads change, the jingle creates a feeling of familiarity that customers can instantly recognize. Your advertisements also end up looking more organized and consistent, adding to the professional image of your company whatever the industry – even within HVAC or electrical. Research shows that people remember more information from commercials accompanied by a jingle than commercials that just include talking. In fact, customers are 10 times more likely to remember your commercial if it uses a jingle. Studies show that when you use a jingle, name recognition significantly increases within the first six months. In addition, because we live in an advertisement-saturated society, it is important to use techniques that will prevent customers from mentally blocking out your commercial. Jingles are effective in penetrating these mental barriers because we really don’t have a defense mechanism against music. DJ’s and TV programmers know this. To prevent viewers from changing the channel, DJ’s and TV programmers will often give better placement to ads featuring jingles so they can maintain their listener/viewership during commercial breaks. This means your advertisement gets better play and is therefore more effective. Jingles eventually pay for themselves by creating quick name recognition and therefore getting more customers in the door. After your initial investment you can reuse your jingle over and over again in a number of different venues including radio, TV, and internet/website advertising. Jingles also translate well to print! When the lyrics are read on an advertisement they can create good, good, good, good vibrations! I bet you heard the melody in your head. Your customer can experience the same phenomenon when they see a lyric from your jingle in your phone book ad or direct mail piece, basically creating free air time. Also, because jingles make your advertising more effective, you may not need to buy as much air time to get your name out there, giving you more options on how to spend your advertising budget. Since the invention of radio and the first radio broadcasts, advertisers and companies have been using jingles to sell their products…and 80 years later the tradition lives on. Jingles are still being used today and will continue to be used into the future because they simply work. If you have a jingle, and your competition doesn’t, it puts you ahead of the competition. Why? All the reasons we just gave you above. Everyone loves music. Music is associated with entertainment and happiness. Jingles keep advertising interesting and can add personality to products or services that are normally considered ordinary or boring. Unfortunately, our industries fall under that category. 2. Jingles evoke emotion so that customers have both a right brain and a left brain experience. Music has a powerful effect on our emotions. Emotions are generally a right brain experience. When customers are making a purchase decision, they use both their right and left brain to decide what to buy. While the talking portion of the ad appeals to their left brain, the singing and music portion appeals to their right brain. This gives you the advantage of creating both emotional and logical appeals for your product or service. “London bridges falling down,” “Ring-around-a-rosie,” “Pocket full of sixpence,”…these are all very old or even medieval nursery rhymes that are still popular today because they were put to music. Music etches words into our memories in a very unique way. Music, with clever and simple words, can bring your company name to the memory of a customer as fast as lightning. A donut jingle is a 30-60 second piece of music with lyrics at the start and end of the jingle. The middle of the jingle would typically be filled with a voice-over. If you plan on primarily advertising on the radio, or always plan on having a voice-over in your television advertisement, then this is the most cost-effective choice for you. Why pay for a full-lyric jingle if no one is ever going to hear the full thing? This jingle will have lyrics throughout the complete 30-60 second jingle that describe and define your company. These jingles are used primarily in television advertising where a visual is accompanying the lyrics. 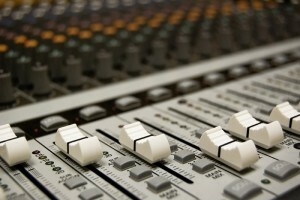 They can also be adapted and edited for use in radio and television ads that have a voice-over component. These jingles are often more expensive but offer a unique experience to customers watching a television ad. The type of jingle best suited for your company depends on your budget and advertising needs. Contractor 20/20 has selected certain artists and companies to partner with to make sure that you get the right jingle for your market at a price that fits your budget. Check out our pricing below and listen to some of the samples we have provided. Check out some our our options below. Give us a call at Contractor 20/20 with any questions, or to get our musicians working to create your plumbing, electrical, or HVAC jingle today!